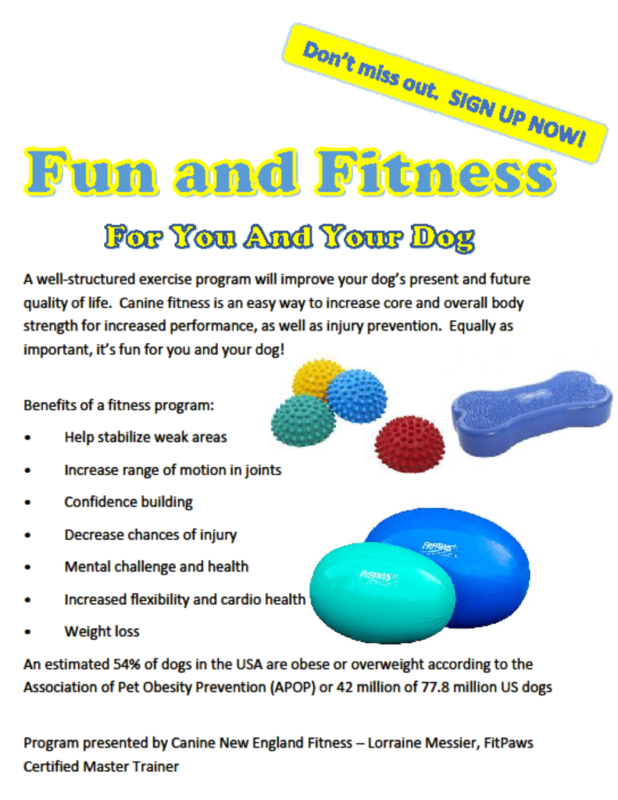 This is a 6 week fun exercise class for happy, stable dogs promoting canine health through fitness. We will be using the FitPaws training curriculum and equipment to develop routines and dog-specific fitness programs. You will learn the basics of proper form and techniques. Great for puppies and beginner handlers. We will use positive reinforcement methods to teach the exercises. Students will have an opportunity to schedule an individual Fitness Program based on the canine assessment developed in class. Subsequent sessions will advance your skills in proper form, safety and duration for each exercise. Challenges the dog to perform the previous level basics with progression. Warm-up and cool-down routines will be practiced. Exercises specific to injury prevention and focus on increased balance, core strength, body awareness and overall performance will be covered. Please read our Refund Policy and Required Vaccinations Policy.